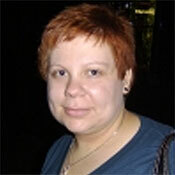 Tori Munn is a freelance writer and stay at home mom who loves body modification. She is the proud owner of nine tattoos (and is hoping to eventually get an entire sleeve of tattoos), 4 ga stretched lobes, a pierced tragus and a pierced eyebrow. When she's not writing for LovetoKnow Tattoos, Tori also loves to write articles about parenting and other non-fiction areas (her job), as well as poetry and short fiction (her passion).